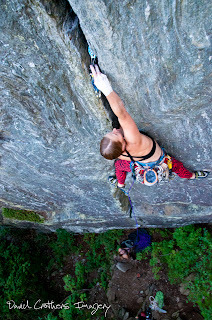 The Rose, a classic overhanging schist crack in my back yard, Bolton, VT.
Mammut and I became more official this year when I arrived in Ouray, CO, to compete in the mixed climbing competition and help out with clinics. I ended up in Ouray thanks to an American Alpine Club “Live Your Dream” grant, and things exploded from there-- much appreciation to Dean Lords and Gribbin Loring. I was happy with my performance in the competition, although the list of “what-if’s” still includes “What if it hadn’t been -4o F when I was up first to climb the comp route?” I ended up timing out, glad to have hung on for as long as I could with frozen hands. The experience was amazing and I met so many wonderful people. During the festival, I was assigned to teach the Mammut Women’s Moderate Mixed and Ice Footwork Fundamentals Clinics, and through these clinics, was excited to expose more people to Mammut gear and faces. 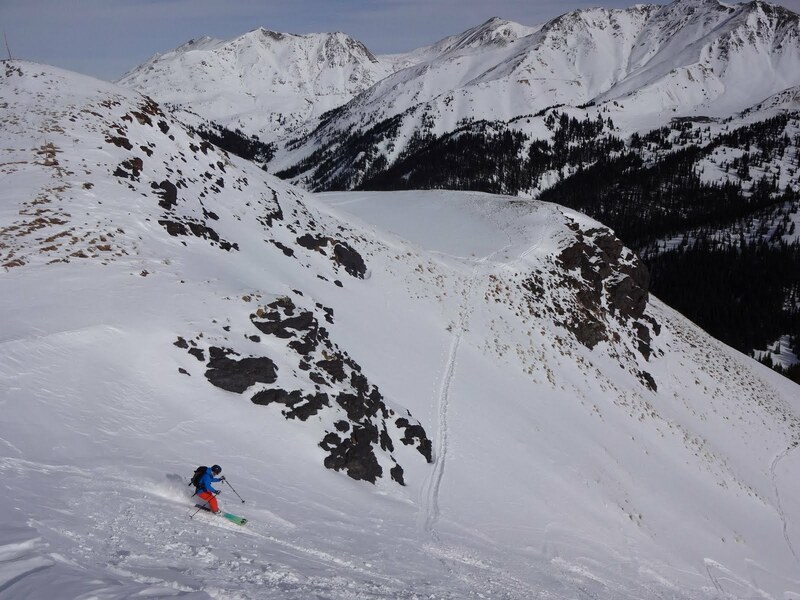 Stairway to Heaven, 1200', Silverton, CO before the Ouray Ice Festival. 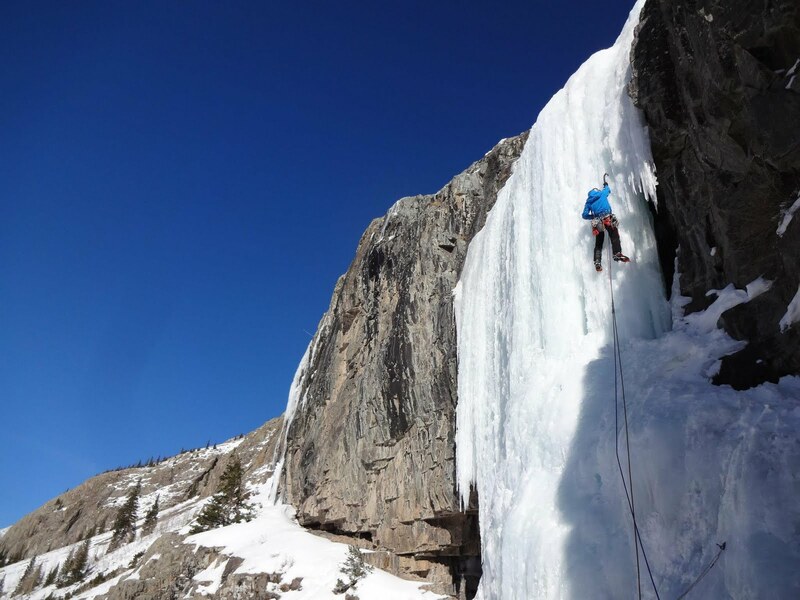 On the Ouray mixed competition route, Mighty Aphrodite. Working out the frozen fingers. 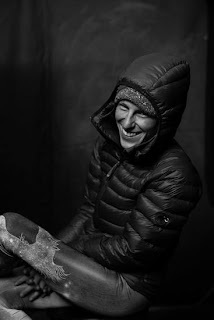 I returned to VT to manage our own ice festival, the Smuggs Ice Bash, and then headed to NH as a Guest Guide and Mammut rep at the Mt. 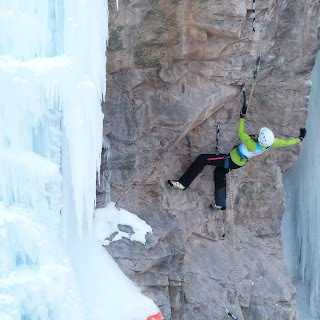 Washington Valley Ice Fest (see Art Mooney’s posts below!). Much gear was demoed, and there were many happy ice climbers. 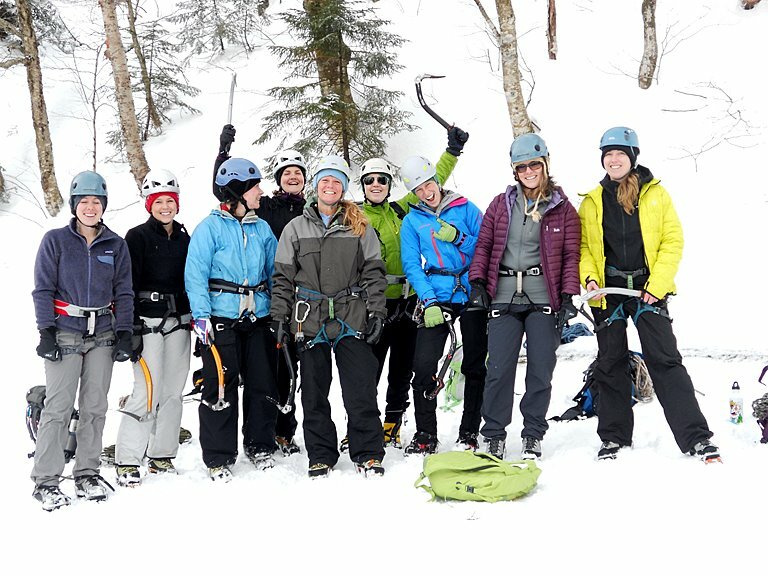 I stayed in NH for the following week to take the AMGA Ice Instructor Course with Art Mooney, Silas Rossi, and Marc Chauvin. 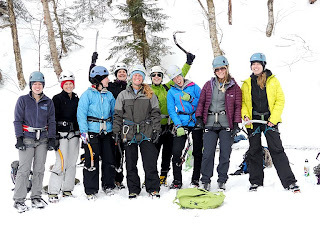 Although the ratio was 11 males : 1 female, I really didn't even notice-- we were just a group of guides practicing our skills and enjoying a week of climbing in Crawford Notch. And… the tights. 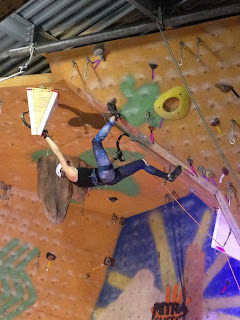 The tights go along with my first indoor dry tooling competition at Petra Cliffs, the climbing gym that my husband and I now own in Burlington, Vermont. I outdid myself in an attempt to be as ridiculous as possible and wore blue star-spangled Wonder Woman undies over gold tights. After this, people had high expectations. I’ve been trying to appease them with finding new fun tights for each competition, but the “Wonder Woman” moniker has stuck. I really thought the unicorn galaxy tights would win them over this year… Hey, when is Mammut going to put tights in their line? I live in an amazing place, with great climbing in Vermont, sandwiched between the Adirondacks and the White Mts. of New Hampshire. I believe that the East really does make one tougher: the cold is colder, the ice harder, the schist sharper. But the snow is deep, the partners are friendly, and there are endless adventures to be had. It's good to get away every now and then, to take a break with a new panorama, and to appreciate what we have in the East. Glass Menagerie, Lake Willoughby, VT. Home of phenomenal steep ice. Psyched to be inspiring other women in our crazy sport. 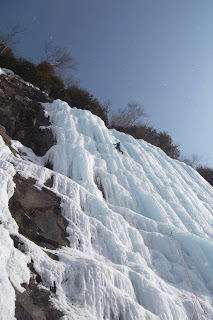 Smuggs Ice Bash 2012. I’m excited to bring more rock-ice-mixed-ski-guiding photos and experiences to the Team, and I'm happy to be hand in hand with the brand. Greetings!